Forgotten Hollywood » Blog Archive » “Forgotten Hollywood”- Laurel & Hardy Weekend Comedy! « “Forgotten Hollywood”- Fall Book Tour Includes Donation! 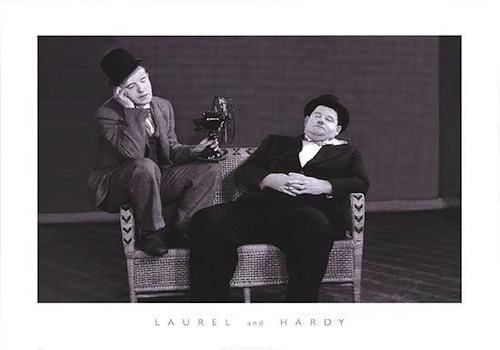 “Forgotten Hollywood”- Laurel & Hardy Weekend Comedy! 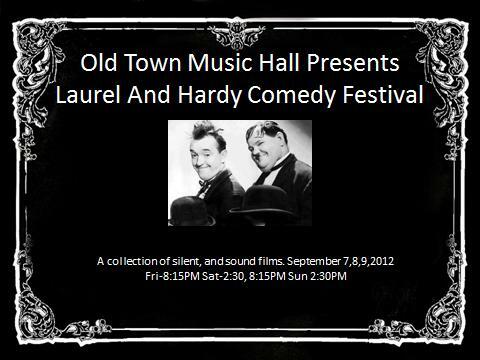 Old Town Musical Hall is presenting their annual Laurel and Hardy Comedy Festival this weekend. Located at 140 Richmond St. in El Segundo, this is the perfect venue to enjoy a collection of silent and sound films that were created by the comic duo. Stan Laurel choreographed many of their funny routines, and he was involved in directing scenes in their two-reelers. Oliver Hardy helped pioneer the slow burn (staring into the camera and showing his funny disdain for what disaster had befallen the duo). He learned the concept from his friend, Edgar Kennedy, one of the original Keystone Cops. Hardy also had a beautiful tenor singing voice. Together, their career transcended the Silent Era through Hollywood’s Golden Age, decades of fun for viewers. 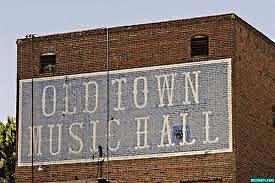 Old Town Music Hall is an exceptional gem, where silent films and movies of yesteryear comes alive. Performances of Wurlitzer theater organ concerts, silent film presentations, ragtime concerts, jazz piano concertos, and turn-of-the-century orchestras are regularly presented. It celebrates 42 years in Southern California! The L&H Festival begins Friday evening at 8:15p; on Saturday at 2:30p and 8:15p; and it concludes on Sunday at a 2:30p matinee. General admission is $8. This entry was posted on Wednesday, September 5th, 2012 at 12:09 am	and is filed under Blog by Manny Pacheco. You can follow any comments to this post through the RSS 2.0 feed. Responses are currently closed, but you can trackback from your own site.